Home / cam'ron / Jim Jones / Juelz Santana / MUSIC / The Diplomats / The Diplomats Feat. 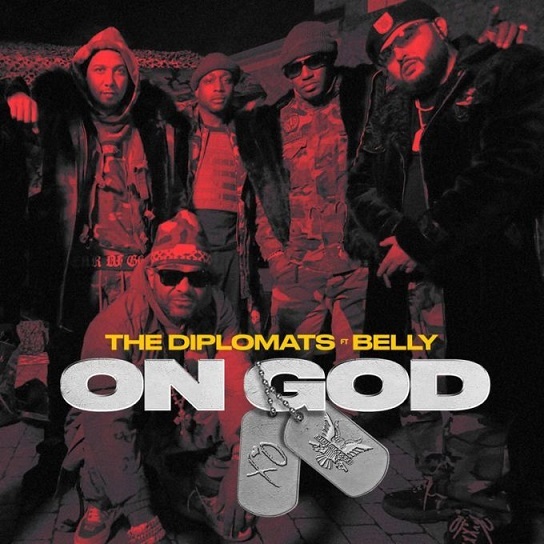 Belly "On God"
The Diplomats Feat. Belly "On God"
The Diplomats are back with their second single "On God" - following the release of the disappointing "Sauce Boyz." On the new record produced by Murda Beatz, Cam'ron, Juelz Santana, Jim Jones and Freekey Zekey pledge allegiance to the flex while Belly helps them out with hook duties. Their comeback album, Diplomatic Ties, which will also feature collaborations with The Lox, Tory Lanez and Dave East arrives in stores on November 22. Listen to 'On God' below.